Even in recent years, technological developments have led to sweeping changes in the way we look at realtime court reporting and how stenographers are expected to operate during a trial or deposition. Instead of using some standard gear that focuses on getting the words directly onto hard copy, today's certified court reporters are deploying services such as wireless streaming, videography and audio recording in their work. However, according to a recent article, not only are such services becoming more available, they're becoming standard procedure. In an article for her website, Neeson & Associates, Canadian court reporter Kim Neeson looked at the emerging trends in the industry and how legal professionals have been forced to adapt. "Shorthand reporting has led the way in integrating technology and the creation of the record," she writes. "From the days of paper notes, today's agenda is replete with the latest advancements." The technologies she mentions in the article include: streaming to mobile devices, wireless networking and videography production, including transcript integration. She also discusses the challenges of dealing with multiple computer operating systems, such as iOS and Windows and video formats, especially MPEG 4. According to Neeson, with new technologies come new services that require coordination between the court reporter and technology. If there is video streaming of a deposition or hearing, it is important that the stenographer and the captioning are in-step with what's showing up on the screen. In order for realtime court reporting to be feasible, the reporter and the technology must be in place which requires training for the individual, funding for the equipment and commitment from all parties to keep each aspect in line. Local legal professionals know to only trust such challenges to a certified Milwaukee court reporter who has been trained to efficiently transcribe legal proceedings while also coordinating with the latest technologies. As reported by this blog, technology has increasingly affected the way many industries operate. One of these technological advancements has been that of videoconferencing, which has allowed professionals to conduct meetings without traveling across the country, doctors to see patients in rural parts of their state and lawyers to meet with clients that may be in penitentiaries far away from the courts they're being tried in. And, according to the Winnipeg Sun, the Manitoba Justice Department is planning on installing videoconference technologies to allow defense lawyers to stay in touch with clients who are waiting to hear back on cases and hearings. The technology was officially implemented in the court system last week, when the Justice Department began inviting lawyers to use the videoconferencing system to connect with inmates located in the Pas Correctional Center and the Agassiz Youth Center. Lawyers with a Law Society of Manitoba email address will be able to log onto a videoconferencing application that allows them to connect to the justice centers and communicate with their clients, regardless of where they are. Litigators can use any device with an internet connection to do this. "We're trying to make it as flexible as possible over a fairly wide number of hours," Irene Hamilton, an administrator in the system, told the source. As this technology begins to be implemented worldwide, attorneys in the Midwest may benefit from partnering with Milwaukee court reporters that not only offer realtime court reporting, but also video deposition services. These professionals will be able to provide a private space for lawyers to videoconference with clients, as well as deposition transcripts should they need it. As discussed by this blog, videoconferencing is becoming an increasingly used way of communication in both court systems and beyond. A testament of this comes from Skype, a popular, online telecommunication application, announcing its partnership with Microsoft to offer more access for small businesses to take advantage of this technology by implementing it into Microsoft's corporate software systems. With this development, many small to medium-sized businesses (SMBs) will begin using videoconferencing technology. Businesses that have not been able to benefit from telecommunicating may want to partner with companies that offer videoconferencing services. "Small businesses are the backbone of the U.S. economy," Ural Cebeci, head of SMB marketing at Skype, said in a press release. "For these businesses to survive and grow in what is still a tough economic climate, we understand that good communication and connections are key to their success." For businesses in Wisconsin, partnering with Milwaukee court reporters that offer video conferencing services can be an excellent way to capitalize on the rise in telecommunicating in a professional manner. Court reporters can provide a meeting room with high-quality cameras and audio equipment to ensure that clients on the other line are able to accurately see and hear the company. Furthermore, if the business meeting is particularly important, the realtime court reporting skills offered by these professionals can help create transcripts of the meeting to ensure decisions are made with the most accurate information available. As the November 6 election nears, there will sure be more presidential and vice presidential debates. In fact, according to the Commission on Presidential Debates, there will be one more third presidential debate in Boca Raton, Florida on Monday, October 22. That also means that once again, this live event must be transcribed in real-time for closed caption television broadcasters, live video streams on the internet and for the media to publish the transcriptions the next day. But, while the two main front-runners of President Barack Obama and Republican candidate Mitt Romney may be nationally televised, the Independent Voters Network (IVN) hosted a presidential debate entirely via videoconferencing on October 18. The debate was between Libertarian candidate New Mexico Governor Gary Johnson and Green party candidate Dr. Jill Stein. According to the IVN, this is the first a presidential debate was done via videoconferencing. Telepresence Options' report on the event states that IVN worked with Google+ Politics to create a live Google+ Hangout for each of the independent candidates. The topics ranged from tax and economic policy, energy, housing and financial regulation, foreign policy and one topic selected from user responses. Furthermore, the questions that were used were submitted to Google+, Twitter and the IVN's Facebook page. For companies that are broadcasting online or who need a live event transcribed, partnering with Milwaukee court reporters can be an excellent solution for this problem. 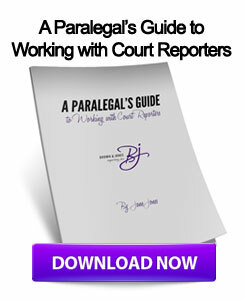 This can be especially convenient, as many of these professionals are certified as real-time court reporters, which indicates their ability to transcribe a conversation or speech as it happens. While videoconferencing systems have begun to penetrate court systems across the country, the technology is becoming increasingly accepted in other industries and markets. In fact, the higher education community is starting to use videoconferencing more regularly and effectively than other industries. According to the school newspaper Harvard Crimson, the Harvard Law School will begin conducting application interviews via videoconferencing technologies. This will allow the high-profile graduate program to interview roughly 1,200 candidates instead of their usual pool of about 1,000. "Sometimes admissions can feel like a bit of a black box," Jessica Soban, assistant dean and chief admissions officer at Harvard Law School, told the source. "You hit submit on an application and then you don't know what happens, and at least this way they know for certain that there are people on the other side." Furthermore, Desert News in Utah has reported that many state colleges, such as the Utah State University Eastern campus, have begun using videoconferencing technologies to combine campuses. This means that more than 12,000 students at 25 different locations can tap into one lecture, effectively streamlining the school's system and providing more opportunities for students to reach their preferred professors despite transportation difficulties or other issues. The center of this videoconferencing system lies in Logan, Utah at a 40,000-square-foot building known as the Regional Campus and Distance Education Building. Students that attend this particular campus can graduate with abundant opportunities from more than 48 different degrees. As more institutions of higher education begin to implement video conferencing into their interview process, the same can work for jobs and employment opportunities. By partnering with Wisconsin court reporters, companies in the area can conduct a job interview video conference using the video deposition services provided by the court reporters. As reported by this blog, videoconferencing systems have been sweeping through the United States one court system at a time. But, in addition to the U.S., some countries across the globe are beginning to implement the technologies in their courts as well. One example of this comes from Scotland, where on October 10 the first man to use videoconferencing in a Scottish court got his prison sentence reduced during an appeal, according to The Courrier. Christopher Wilkie was charged with aggravations of serious injury and danger to life last year after he allegedly attacked a man with a pair of scissors or similar instrument. After his trial, the jury dismissed the allegations of Wilkie kicking or stabbing the man but left the same charges. Wilkie's lawyer defended him on the basis that he could not receive the same charges if he did not commit these particular acts of violence, making his sentencing excessive. According to the source, Wilkie was shown a split screen television in a room at the Barlinnie prison. On other side of the screen were the judges, court staff and lawyers in the Edinburgh courtroom. Not only was the entire appeal done this way, but it was convincing enough that the judges saw fit to appeal Wilkie's charges to a lesser degree and, therefore, shorten his sentence to 16 months. For litigators in the Midwest that want to ensure their clients are represented as best and most conveniently as possible, they may want to partner with real-time court reporters that also offer video deposition services. In doing so, they will allow their clients to be deposed or testify from anywhere while ensuring they have the most accurate deposition transcripts. As reported by this blog, videoconferencing services have risen in the past few years as more court systems realize how useful the cost-effective technologies can be. In fact, these services have started to penetrate the international market. An example of this takes place in Goa, India, where the long-running trial on the death of British teenager Scarlett Keeling is using videoconferencing services to examine a United Kingdom-based witness. According to the Hindustan Times, the witness saw the victim with the two murder suspects on the night she was killed. The witness's testimony is a critical argument for the case, and videoconferencing services made it possible for this individual's voice to be heard. Videoconferencing has also made its way to the Caribbean, as officials in the Bahamas have announced they will implement a videoconferencing service that will allow them to save millions while eliminating any "traffic hazard" that can be caused by transporting prisoners to and from courts, reports the Bahama Tribune. According to the Attorney General and Legal Affairs Minister Allyson Maynard-Gibson, the installation of this system cost the government "less than $50,000." In another example, the Yakima County Corrections Center enjoyed an update to its videoconferencing system. The Washington prison system had its videoconferencing center moved from the correctional center to the General Administration Building next door, which allows for more access, safety and convenience for those that use the service to communicate with inmates. "It will be easier for us and it's always nice to have more staff nearby in case there's a problem. And of course, it's more convenient for everybody," Chief Karen Kelley of the Department of Corrections told KNDO, the local NBC affiliate. By partnering with Wisconsin court reporters that offer video deposition services, litigators can also save expenses while ensuring their clients get a fair trial with thorough and accurate deposition transcripts, which can be corroborated through videoconferencing. With the advances made in video conferencing technology, attorneys now find it easier than ever to hold depositions, court hearings or consultations with clients in far-flung locales. When paired with skilled court reporters and certified legal videographers, video conferencing makes it effortless for attorneys to conduct a long-distance court deposition. The technology has rendered distance – once a chief challenge to attorneys and other professionals who needed to connect with clients that were not locally based – hardly an obstacle at all. Cost is now also less of a challenge, with affordable and high-quality legal deposition services available to more legal professionals. However, a number of professionals are also maximizing video conferencing for its ability to unite large groups of spectators easily, encourage information sharing and project work, and improve collaboration. Experts in non court-related industries also espouse these benefits. In a column for Campus Technology, Ruth Reynard described the often-untapped advantages of video conferencing technology. Reynard is an education consultant and an executive with the Daymar Colleges Group, which specializes in career training. Reynard wrote that professionals in her industry have increasingly found video conferencing technology to be an invaluable instrument for instructional sessions. Particularly in an age during which consumers have access to high-quality streaming video from smartphones and tablet computers, video conferencing offers access to career training and lectures that once was only a pipe dream. Law firms in Wisconsion can take advantage of this burgeoning technology by establishing a partnership with a leading provider of certified legal deposition services. With professional legal videographers available at a moment's notice, attorneys have the resources needed to contact and communicate with clients, associates and partners a world away. As reported by this blog, videoconferencing is quickly becoming a mainstay in the way many organizations operate. This is has gone beyond just court systems and corporate job interviews, and is predicted to continue its expansion. In fact, new research has revealed that the federal government could save millions of dollars from implementing videoconferencing services. In fact, according to a report by Telework Exchange and the videoconferencing service Blue Jeans Network, if half of all Federal workers were to use videoconferencing technologies, the government could potentially save $8 billion annually. In addition, 84 percent of the report's surveyed respondents say they expect videoconferencing usage to increase in the next five years in the federal government. Another 92 percent agree that the technology can help save tax dollars and 73 percent say that videoconferencing would help projects get completed faster. Furthermore, 78 percent of respondents believe the greatest benefit of videoconferencing services is the amount that will be saved in reducing travel. The technology can also aid with improved collaboration, reduce carbon footprints and create a better work-life balance allowing employees to work remotely. "The report findings support our relentless focus on making video conferencing as simple as an audio call in order to have government and non-government organizations alike benefit from better productivity and the cost savings associated with video conferencing," said Stu Aaron, chief commercial officer of Blue Jeans Network. While the technology is still evolving, it's already experiencing widespread usage in court systems nationwide. Although many counties may be unsure of whether to implement the technology, lawyers in the Midwest can rely on Milwaukee court reporters that offer video deposition services to provide the most accurate deposition transcripts with an accompanying video record. With new technologies come better opportunities, as videoconferencing becomes more widely available for not only major business conferences and tiny cameras in consumer laptops but also in the court of law. In fact, according to the WJBD Radio in Southern Illinois, Marion County has announced that it will begin implementing the use of videoconferencing services in its courtrooms as a means to increase efficiency and bring down expenses. "We want this in as quick as possible. The video conferencing is going to save us manpower because it's dollars," Terry Johnston, board chair, told the source. "It's also a safety issue bringing the prisoners from the jail to the courthouse so we will have a conference camera set up in the law library, one in the small courtroom to do it … As far as the security cameras go, this is something we've been working on for two years and I just feel really strongly in this day and age that we need to bale to make sure that office holders, employees and general public that comes into this place can feel safe and secure." According to the source, the videoconferencing equipment is going to be funded through the $18,000 raised by selling old squad cars and county vehicles along with additional savings already set aside for the project. By implementing the videoconferencing equipment into its courtrooms and procedures, Marion County lawyers and judges will be able to more efficiently communicate with convicts and those that are unable to make it to the events in-person due to other reasons. This will allow the county to save on many operational costs such as transportation and manpower. For other counties and courts in the Midwest that want to use the efficiency this technology allows, partnering with Wisconsin court reporters that offer videoconferencing services for anything from depositions and hearings to job interviews can provide the offerings they are looking for.